God gave me the pleasure of uncovering the truth about money in my life this week to a new level of understanding that I had never really fully uncovered before. Money is (hopefully on the way to being “was”) my idol. But not in the typical way that might be popping into your mind. I’m not talking about Materialism. I DO NOT have a desire to have “more” of anything. Sure, there are things I want, like this REALLY awesome pair of boots I have my eyes on, but I know that I will most likely never own them, and I would never sacrifice what is necessary, be a poor steward, or refuse to give where God is leading just to keep or have more for myself. Materialism in my mind says that you can find no satisfaction in life because everywhere you look you “want” something or everywhere you look people have “things” that you want and you just can’t find happiness because there is always something more you desperately want to have. I’m talking about Money (NOT materialism) being my God. Money is my idol. BECAUSE, money is my security. I have controlled every aspect of the finances since the day my husband and I started dating. For one, I’m really good with budgets, researching deals and savings, and I don’t mind at all writing checks and getting things paid on time. But if THAT was why I was in control of the finances, that’d be one thing. But that isn’t the only reason that I was. And I JUST discovered this to the full measure this past week. It’s because I only trust myself to handle the money and that makes me feel secure. I have the checkbook balanced to the penny, CONSTANTLY. There will never be a moment in time when I don’t know to the exact cent, how much money we have. And if major purchases come up and the money goes down, I’m upset, feel unsafe, have anxiety and worry, stress out, and have a bad attitude. On the flip, if there is extra money put in and I’m able to catch some sales which leaves us a little higher than we were last month, I’m happy, feel safe, take great pride in my budgeting abilities and feel great security. The fact that I stay home and my husband brings in 90% (because I do babysit and do crochet) of our income, has NOTHING to do with feeling like my husband is my security, provider or protector. Because in my mind, I handle the money so I make sure I’m safe. I’ll even go so far as to tell you that, as DISGUSTING as this is to admit, my husband “running purchases past me to be a team” was seriously a very nice way of saying “asking my permission.” I ultimately always had veto power. My friend April had the courtesy to help me see this past week that this situation is just an obvious symptom of The Fall of Man. Men are quick to give up power, and women are even quicker to take all the power. When in reality God created men to be the provider, protector, and leader and the woman to be the helper, receiver and nurturer. We were never intended to have “Veto” power. We were intended to come along side them and follow their leading so we could be protected as we both reach the top of the mountain together. All I’ve tried to create in my marriage is my own security which is a total lack of trust in my husband to make good decisions for us, which is a lack of faith in the Lord to be sovereign of His design of marriage, and to provide our needs without my constant worry and intervention. I put everything on Auto pay except one bill. I paid everything up through the week that I could. And I haven’t touched the check book since. And I won’t. I’ll now hand him all my receipts, stick to the budget he gives me, allow him to give me the “allowance money” instead of me giving it to him, stop balancing the checkbook constantly or evaluating where we are on-line, let him pay all the bills and write all the checks, and give him my opinions when they are relevent and trust him when they aren’t. No, this isn’t making me a doormat. It’s letting him carry weight that he was designed to carry, and giving me the chance to be provided for and focus on things that build up the home, instead of carrying stress that the bank account gets to determine my mood and safety. I LOVE the words Kayla used when she gave the finances to her husband. I like her approach actually a lot better than the one I used! I think it is more biblically sound. Thanks SO MUCH for sharing your heart, Kayla! Until we totally submit ALL of ourselves to Jesus as our Lord – we are missing out on His blessings and His will to some degree. Giving up control of the finances is SCARY. But I look at the reasons Kayla was doing the finances and how it gave her a false sense of security – and that was totally me. I was also very obsessive about the finances and constantly checked the balances all day every day and stressed about it. I LOVE that Greg handles the money and bills now. It doesn’t seem to add much burden to him at all. I love the way the balance of power shifted dramatically in his direction. It helped me stop a lot of my controlling ways. I don’t think there is one perfect way to handle this situation – and we are not addressing extreme situations where there is physical abuse, drug or alcohol abuse, gambling, severe mental illness. (If you are in a situation like that – please find local, godly, experienced help ASAP!) But these are some ideas to think and pray about! I believe your intimacy with Christ and with your husband may improve greatly when you are not the money kingpin in your house! 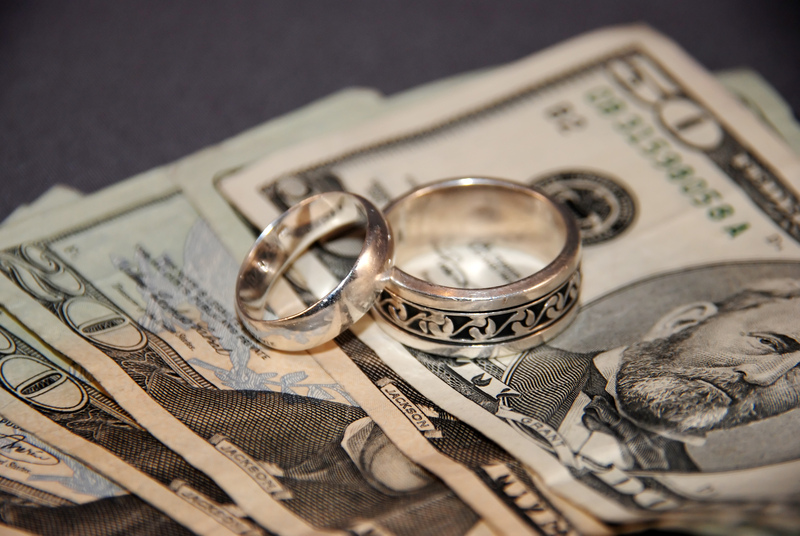 Here is a post I wrote about how I handled giving the finances to my husband. Here is a post from one of my readers whose husband emphatically did NOT want her to give him the finances and the really godly way she is handling it. She is an inspiration to me!